Have you ever heard about Sinterklaas, a feast for children with lots of sweets here in Holland? 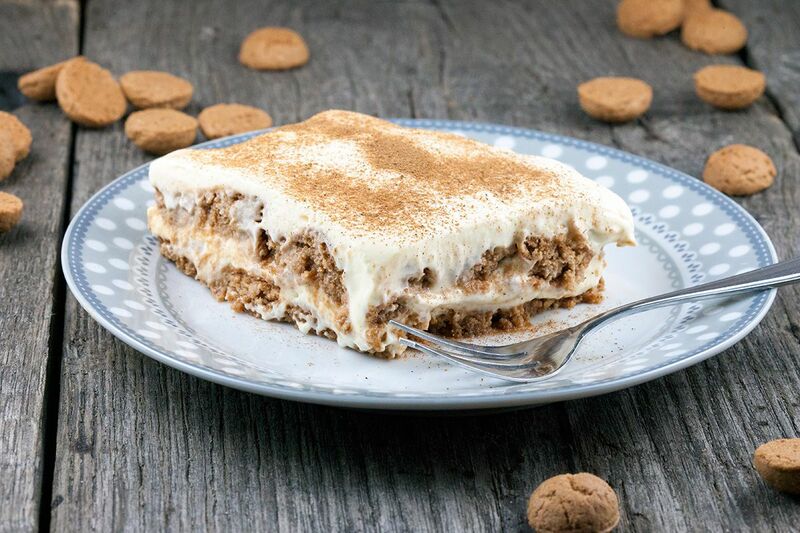 We made a Dutch tiramisu with pepernoten, cool right? In Holland we have a tradition that’s called ‘Sinterklaas‘, which means Saint Nicholas. Sinterklaas is in the beginning of December and basically it’s a feast for children. Children get gifts, speculaas (ginger cookies) and pepernoten (well actually, the ones we used are kruidnoten but most people only use the name pepernoten). As fas as we know, you mostly can’t buy these outside of the Netherlands. You can use some sort of cookies with ginger and cinnamon instead. ADD the egg yolks and white caster sugar to the bowl of your standmixer and mix until it’s fluffy and pale. ADD the mascarpone and combine well, don’t overmix it. BEAT the cream until it’s about the thickness of yogurt. FOLD the cream carefully into the mascarpone mixture and set aside. ADD the coffee liquor to the medium-sized bowl and dip the pepper nuts a few at a time into the liquid. Don’t let them soak, otherwise they will be too mushy. DIVIDE half of the pepernoten on the bottom of the oven dish. DIVIDE half of the mascarpone mixture on top. 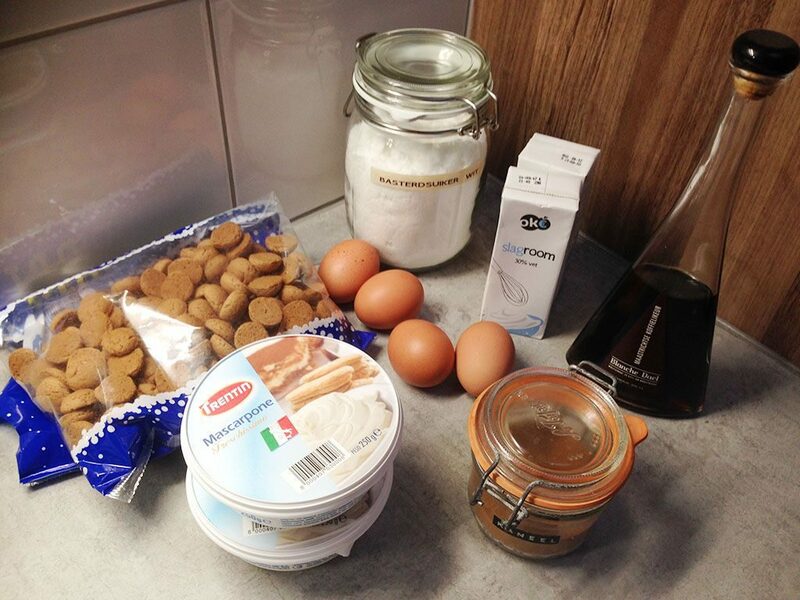 Then ADD the rest of the pepernoten to the oven dish and finish it off with the rest of the mascarpone mixture. 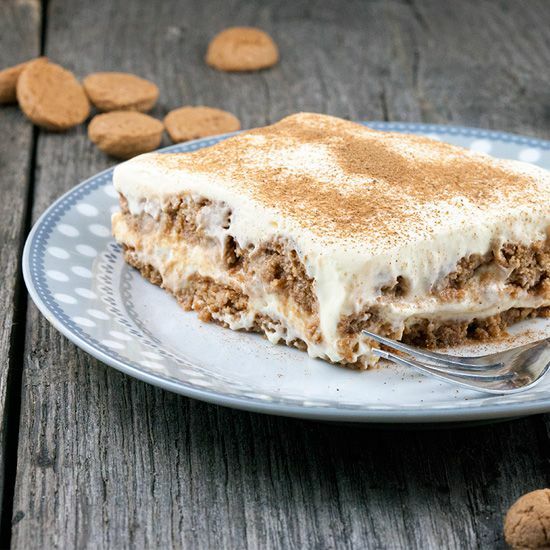 PLACE the tiramisu in the fridge for at least 2 hours, but preferable overnight. 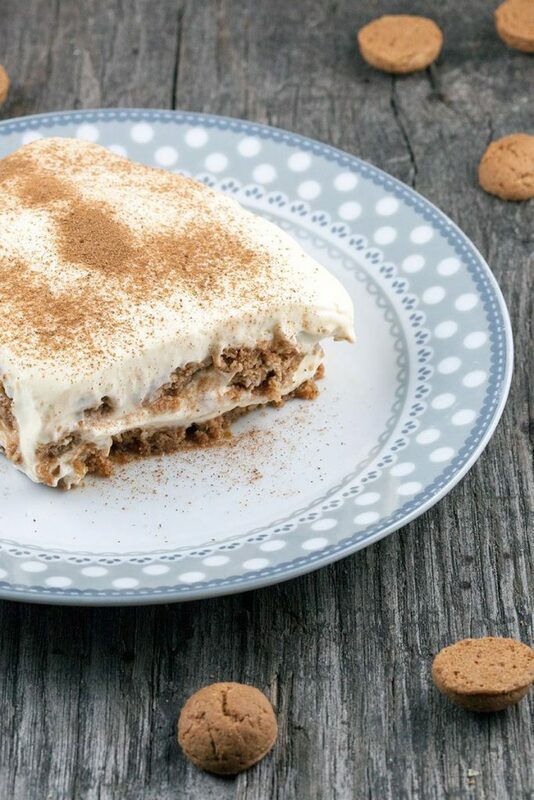 DUST the tiramisu with ground cinnamon and enjoy!